We think you deserve to be cool and comfortable. So if your car’s air conditioning system is no longer up to the task, call Aarrow Transmission – Richmond’s auto repair experts. 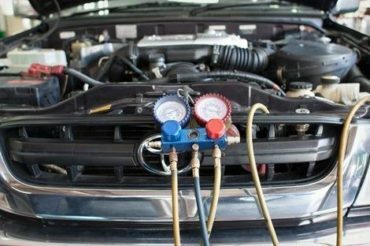 Our Glen Allen-Short Pump and South Richmond-Midlothian car repair shops can expertly service or repair any air conditioning system. 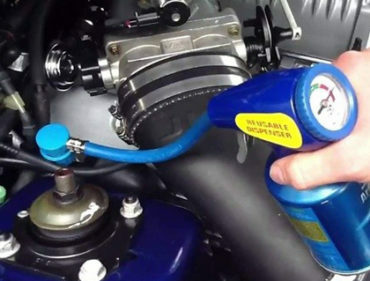 If your air isn’t as cool as it used to be, your car’s AC system might just need a recharge of refrigerant. But before we recharge your system, we’ll also inspect primary AC components such as your compressor, compressor drive belt, and serpentine belt; we’ll also check small components such as fittings, O-rings, hoses, and seals. Regular auto maintenance and inspection is a great way to identify air conditioning system issues before they cause damage. So is promptly addressing any symptoms that indicate a problem with your AC system. If left unaddressed, an easily-fixed issue such as a loose-fitting could eventually damage your compressor or evaporator – requiring a much more expensive repair. Several other factors can contribute to a poorly functioning car air conditioning system. A malfunctioning fan or blower is a relatively common issue; symptoms can include reduced air flow or strange noises. Other common issues are clogs in your compressor, evaporator, condenser, or expansion valve; you might notice a stale, musty smell that suggests mold or mildew growing in a damp space. Sound familiar? Call us. After performing our multi-point inspection of your car’s AC system, we’ll let you know what needs to be done to get it to run smoothly. But before we begin any service, replacement, or repair, we’ll provide you with a written estimate. You trust your car’s air conditioning system to keep you and your family comfortable. Trust Aarrow Transmission to take great care of your AC system. Call today, or drop by one of our convenient car service and repair locations in West End-Glen Allen or South Richmond-Midlothian. We’ll get your car serviced and back on the road in no time – as cool and comfortable as can be.